Saturday and Sunday this year. As usual, we will have a selection of merchants, a café, bake sale, book sale, and of course our big raffle which will take place on the Sunday at 3 pm. Reserve this date for your Holidays Shopping. Chez Maurice donated pairs of tickets for shows which took place before the Craft Fair. Tickets Auction was closed yesterday. Total money raised with the Auction is 191.25$. Thank you to all who participated. 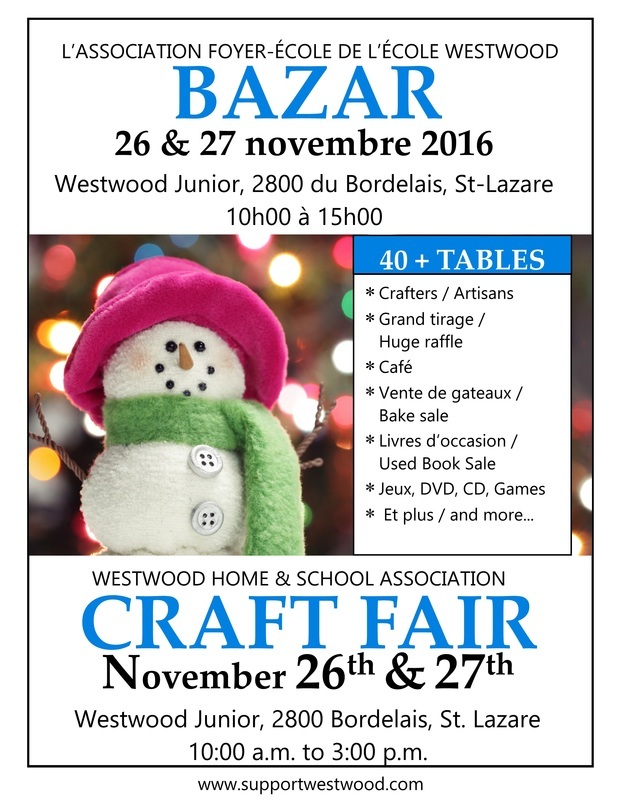 Note: Chez Maurice also donated pairs of tickets for shows after the Craft Fair - There is a basket to raffle on November 27th. Below, you will find the list of Merchants who will be participating to this 15th Edition as well as where they will be located. We have new and returning merchants this year. Here is the list of our Sponsors for this 15th Edition. The following merchants/families donated time, merchandise, gift certificates and more to help us make this event a success. Thank you so much!